Part of a major route between Laurencekirk and Marykirk will close for six weeks from Monday, July 11 to allow for bridge work. 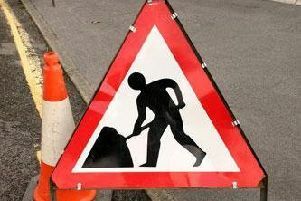 The A937 will be closed to all traffic at South Balmakelly for the £150,000 project. The concrete bridge, which dates back to the 1930s, is no longer able to safely carry today’s traffic. Aberdeenshire Council say that local access to properties will be maintained at all times as the closure is in the immediate vicinity of the bridge only, but nearby roads will also be affected. Two central reserve gaps on the A90 trunk road between Laurencekirk and the B974 junction at Crosspoles will be temporarily closed during the works. Diversions are via the A92 coast road and A935 via Brechin. Advance warnings will be placed at all major junctions.